In an October 2 dispatch, The Associated Press promoted the terror group ISIS’ claim that it was responsible for a mass shooting in Las Vegas that left more than 50 dead and 500 others injured, even though the AP acknowledged ISIS provided no evidence to support the assertion. 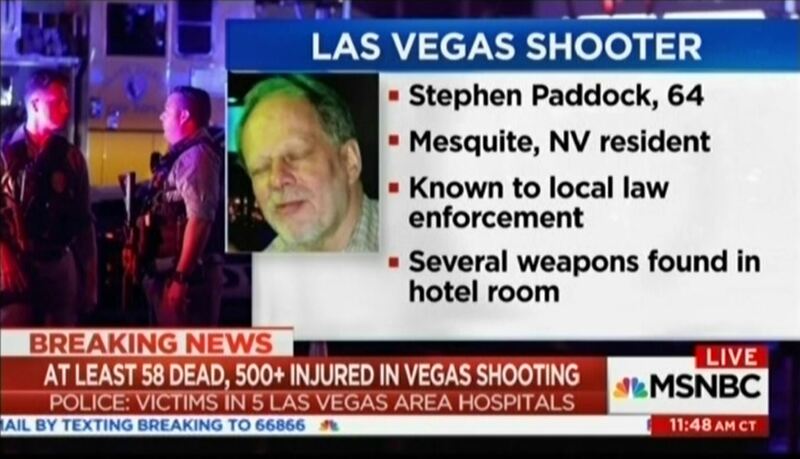 Other outlets rushed to parrot the AP’s report over the next few hours, until the FBI stated the shooter has no connection to ISIS or any other terrorist group. BREAKING: Without providing evidence, Islamic State claims Las Vegas attack, says shooter converted to Islam months ago. After a series of extensive updates, the AP article now mentions that ISIS “often claims attacks by individuals inspired by its message but with no known links to the group.” A similarly styled report from CBS News also reflects, after several updates, that the Las Vegas gunman demonstrated “no early signs of any ties to radical Islamic groups or signs of radicalization,” and notes that ISIS “offered no proof of a link with” the gunman. In a series of tweets shortly after the AP published its initial report, CNN terrorism analyst Paul Cruickshank explained that ISIS is a notoriously unreliable source of information and noted that it has a history of claiming a connection to unrelated shootings and attacks. Rather than simply running with ISIS’ self-aggrandizing propaganda for the sake of adding new angles to developing stories, news outlets should refrain from publishing until all the facts are in.